Want to play new Games on PC, Xbox 360, Xbox one PS3 or PS4? But you don’t know which are the latest games? which are the best games in the genre you like? which are the most high rated games that are liked by the gamers around the world? Then stay tuned to know the best new games for PS3, PS4, Xbox 360 and PC. There are many high rated popular games in different genre like Action, Sports, Adventure and Racing for PS3, PS4, XBOX-one, XBOX-360 and PC. Here are the 8 high rated popular games from the year they were released till the current time, 2017. 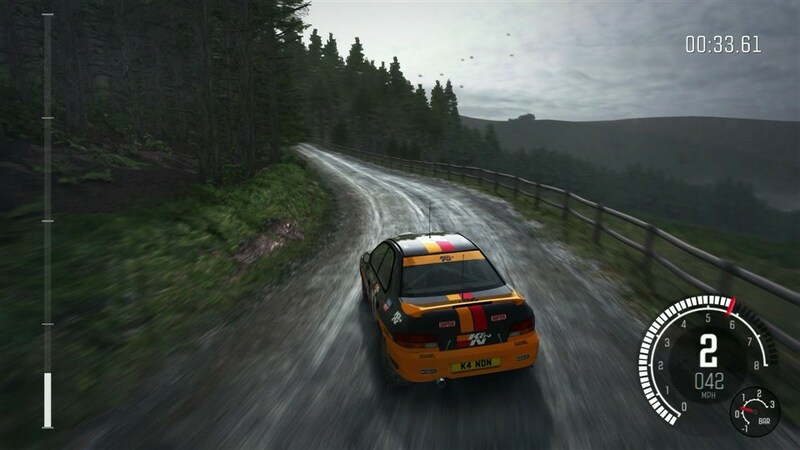 Dirt Rally is a racing game published by Code-masters for Microsoft Windows. The game features 24 locations with 10 stages in each. The game-play is tried to keep it like driving a real car. The sound effects in the game are one of the best in the Dirt Rally. The sound effects of the engine, the steering movement and wheels sound on the turns are powerful and perfect. It is the serious rally game, so if you are not a fan fan of rally racing then this one is not for you. This racing game is best played with the steering and gear’s compatible simulator to give the real feeling of actually driving the cars in high speed in rally’s. It is not easy to win the rally races as you need to be the best in racing to win.It covers the most iconic rally cars having great car handling and great visual effects of surroundings. Its a definitely a good buy if you are a fan of racing games genre and specially like to play Rally Racing. Platforms available to buy from Amazon-(Links) – PS4 for around 50$ , XBOX for 59$ and PC for around 45$. Need for Speed series is the best gaming series for the racing genre. The latest launch have been in the 2015 year. 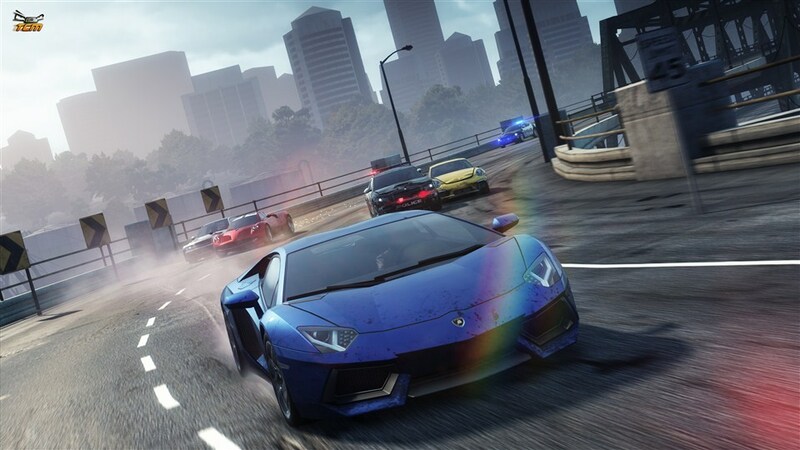 The game features more realistic game play with the real look like characters and cars with the catchy need for speed series music. You have to get out into the town and get noticed, drive all the way to be the best driver to win the races. As the most exciting moment is when the cops chase you in the need of speed series, the cops chase you if you are under their scanner for breaking certain laws and the best part is that you get rewards for damaging the cops cars. You really should play this game if you really like to explore the racing genre, as NFS series are the best for Racing Genre. Need for speed-Rivals(released in 2015) is available on all platforms – link including PC and Xbox 360 From 14$ to 28$. 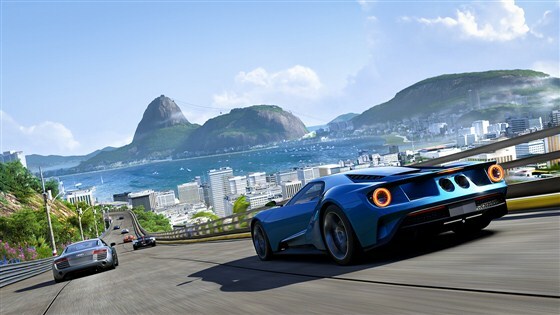 Forza Motorsport 6 is the racing game set on the racing tracks on many locations across the world. You have 460 cars to choose from, many tracks set across different locations around the world and many different racing events to choose. The effect of the day, night, windy rainy weather is great and looks real . The online multi-play can be done up to with 6 players and the game-play smoothly handles so many players being added. Platforms available to buy from Amazon-(Links) XBOX One for around 48$. 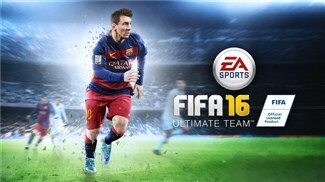 This game is for the football lover, every year new version of the FIFA is launched with newer features and better game play. FIFA 16 freshens up the series with the biggest game-play changes in years. Fifa 16 has some new defending and attacking modes. Buy this game if you wanna try playing football or you are too bored playing the old version that you got is many years older. These 2 games were launch in late 2013 , but still these are high rated and most popular Games. Grand Theft Auto V is an open world, action-adventure video game developed by Rockstar North and published by Rockstar Games.The Game features three heroes, its a big world inside with cars to be customized, natural landscapes, Planes to fly, clothes to buy, sports to Play, Oceans to dive into, Animals to hunt and be hunted by animals. Every thing from bike rides to car driving is responsive and fun in the game. The shooting and fighting scenes have been given a real effects with many different weapon options to choose according to the fight scene. You can choose to spend your money on from buying new cars to investing in the risky stock markets. 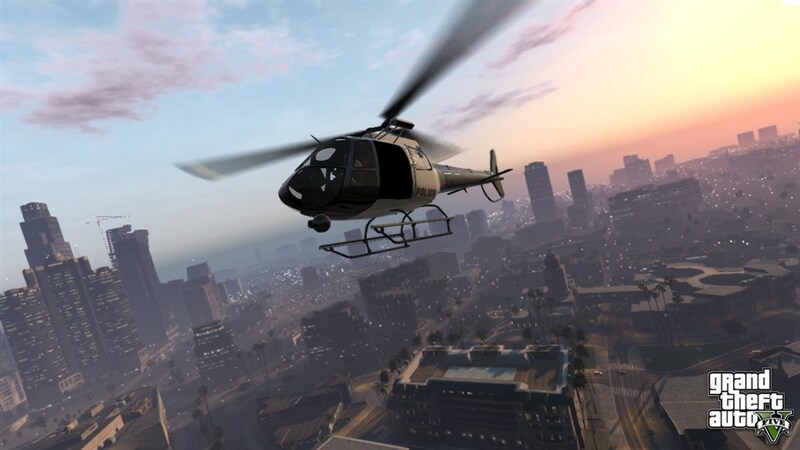 The best fun part is when the main player does not have any mission to do, the player only enjoys the Grand Auto Theft 5 world without worrying about the context of its plot. 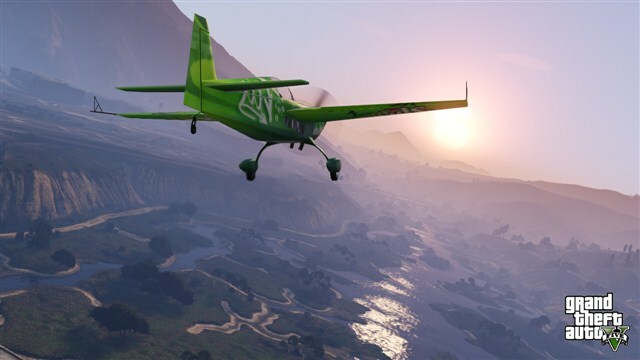 Also after the long wait, PC-gamers get what they have been hoping for, as PC is the best way to experience GTA V.
Platforms available to buy from Amazon for 20$ to 39$ -(Links) PS3 version , PS4, XBOX One , PC or XBOX 360. In Saints Row IV, the leader of the saint’s is now the President of the United States. You would feel good to be the gangster President of the United States in this game. There are many new weapons added in this version four. The best weapons in the game is the weapon that makes things around you dancing before destroying them. You can customize your weapons to a new level and have rocket launches as well. The president ie. Leader of the game has been given super powers, with which you can run really fast with the speed of the sports cars and jump over from ground floor to the building’s 40th floor terrace. You have the power of freezing the world around you and then smashing the things around into thousand pieces. You can pick up the car in the air and throw it 100’s of feet away, with so many of the super powers given to the hero, there is a powerful evil in game to fight with. There are more than enough surprises in the game’s story missions to keep you entertained. Saints Row IV has an humor that infuses every aspect of this game, gives it an identity all its own and is a great place to mess around. Platforms available to buy from Amazon for 17$ to 30$-(Links) PS3 version, PS4, XBOX One, PC or XBOX 360. 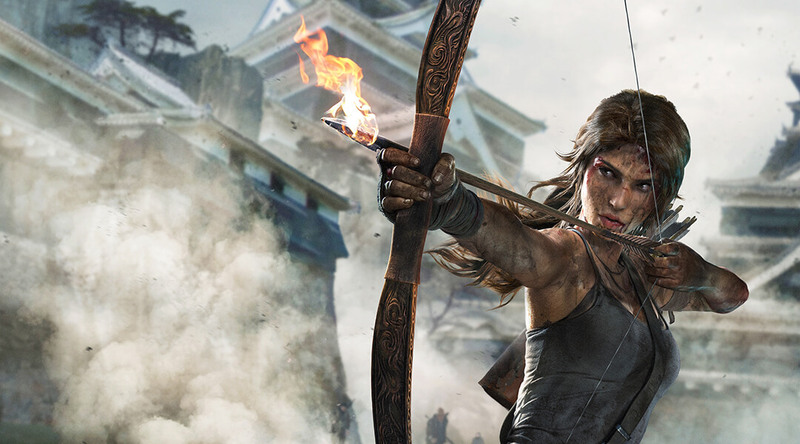 Tomb Raider is on the pursue of super natural artifacts. There is full of adventures, which includes climbing ,shooting, jumping, hunting and fighting sequences. Rise of the Tomb Raider’s first shot pans over a vast Beautiful landscape. The Tomb raider world is snowy, sometimes is dusty in the desert, sometimes its inside the caves and sometimes in the waterfalls. The visual effects are just awesome. You need to jump over the chains, get new artifacts, solve the mystery and the puzzles that come along the game play to reach to the new levels in the game. Play this game if you like to unlock the hidden mysteries of the hidden world combined with the actions and the mystery. Platforms available to buy from Amazon for price of 46$ to 59$-(Links) PS4 , PC, XBOX 360 Or XBOX One. Uncharted is an action-adventure, 3rd person shooter video game series. 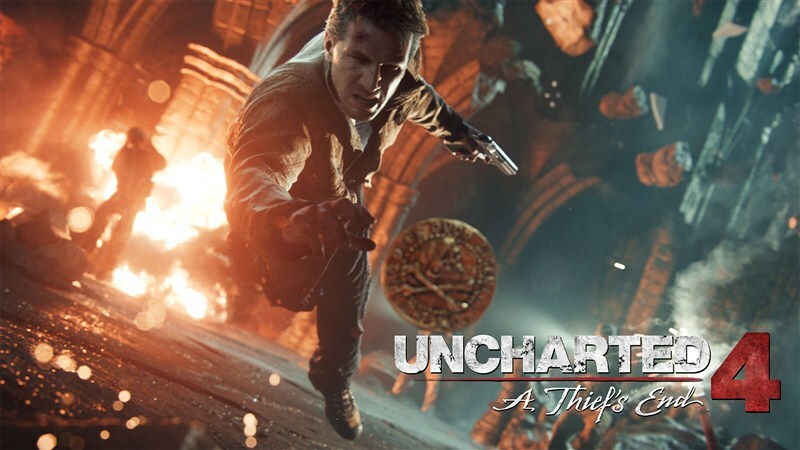 Over the Years from 2007, there have been 7 versions of Uncharted series as of October 2016 including the latest one launched in May, 2016. The game is set up in the unexplored locations with Volcanoes, large open lands, hills, rivers, hidden waterfalls and treasures. Environments feature multiple paths for the player to explore. Maps are significantly larger than the previous games in the franchise. Drake is the main character of the game, who is physically adept and is able to jump, scale narrow ledges and wall-faces to get between points, sprint, climb, swim swing with a rope, use a grappling hook and perform other acrobatic actions can use various firearms such as assault rifles, pistols and grenades to kill enemies. 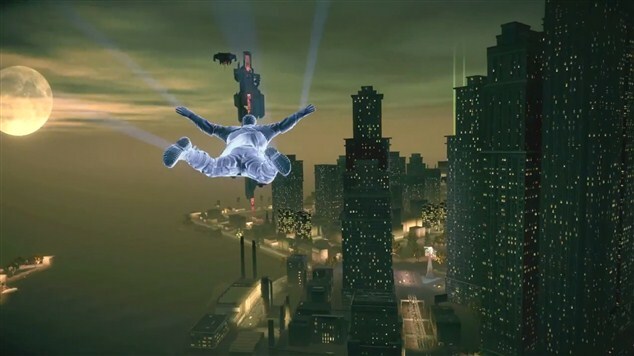 The artificial intelligence (AI) of enemies is better in this version, as they are able to respond to the player’s actions more responsively than previous versions. Go for this game if action- adventure series is your forte. These 8 games have been high rated games from the times they have been launched, so go ahead try one of these and get into another world…Gaming World!!! Still if you want to look out for more options then go ahead and check 100’s of games options available on Amazon. Here is a trick to get 20% discount on Amazon for buying Game Cds !! Liked our games suggestions…!!! Do share with your friends who are big fans of games and like the ‘stunningalways’ page on Facebook. Also, if you have any queries related to the games list in the article or some other popular games then put your queries in the comment box below. Also, do subscribe to us, we will soon come with many new interesting articles. This is an extraordinary article.I am practically satisfied with your great work.You put truly extremely accommodating data. Keep it up. Continue blogging. Hoping to peruse your next post. I read your post its great thanks. I love "Rise Of The Tomb Raider". Thanks for sharing.